It is clear that virtually all criminal justice organizations, including jails, are driven by information. From initial intake to final release, virtually all key decisions are largely driven by the availability, quality, and careful analysis of data to support the variety of decisions made by jail administrators and personnel. Jails should consider themselves as information- processing organizations and active users of information technologies. A precondition of effective management support in the jail system is having access to accurate, high-quality data that can be presented in the appropriate formats. For most jails, this requires a jail management information system (MIS) that is adequate to support all routine inmate-processing activities. Even when a jail has an adequate MIS, we often see inadequacies in the design of performance measures and inmate-monitoring indexes and, more generally, in quantitative analyses that make use of this information. 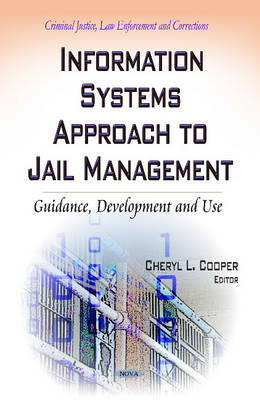 This book uses many years of the authors' collective experience in addressing the information technology (IT) infrastructure, database content, and analytical capacities of innumerable criminal justice institutions to develop a guide to the development and use of a jail information system. The book also discusses a jail capacity planning guide.